Fitting into an old pair of jeans again. Competing in that bucket-list race. Chasing around children and grandchildren. Or perhaps simply not panting after taking the stairs. Whatever your goal, there are many motivations to get your body moving. And there’s also many different ways to put your body in motion. But how should you move and what is enough? There’s intensity, frequency, and type of movement (strength training vs cardio) to consider. That’s a lot. So, no wonder it can feel hard to find the “right” way for you. And then there are the excuses. Before you dive deeper into how to move, let’s breakdown some barriers by taking a closer look at common concerns. I don’t have time to exercise. Often the scheduling of exercise is what keeps people from being active. Even if your days are filled with family, errands, and meetings, it’s possible to find the time to move. Start by redefining what a workout looks like for you. This means discarding the idea that exercise must be done in a gym. Now that you’ve broadened your options for place, get creative. Use the 5-10 minutes between engagements to lunge (or any other movement) in your office. Or turn your conference calls into walking meetings and take the call on the go. 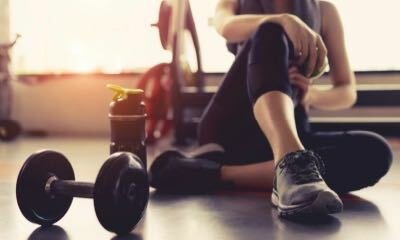 Lastly, while a dedicated workout session will provide strength gains and potential weight loss, working microbursts of exercise throughout your day as a replacement comes with benefits. When you’re especially busy, these sporadic, focused efforts throughout the day are much better than remaining sedentary and can even be better than one longer session. I don’t like running, so I can’t do cardio. 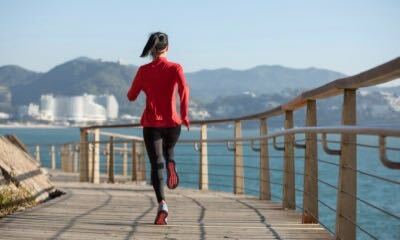 Running is only one way to get cardio (short for cardiovascular) exercise. Consider other activities that still get your heart pumping but don’t require expensive shoes or the dreaded treadmill. If it gets you moving with your breath and heart rate quickening, it’s a good cardio option. Think brisk walking, dancing, swimming, or yoga. Read on for more ideas to come. I’m new to exercise and weights feel very intimidating to me. How else can I build strength? While weights are a great way to build muscle and overall body strength, there are other routes to the same destination. Your bodyweight can be enough (think: power yoga) and if you want a little extra, consider resistance training with bands. This can be a great way to get strong without a lot of equipment. I enjoy exercise, but I’m not really sure how much I should be getting. The American Heart Association and Centers for Disease Control have come up with guidelines for adults. 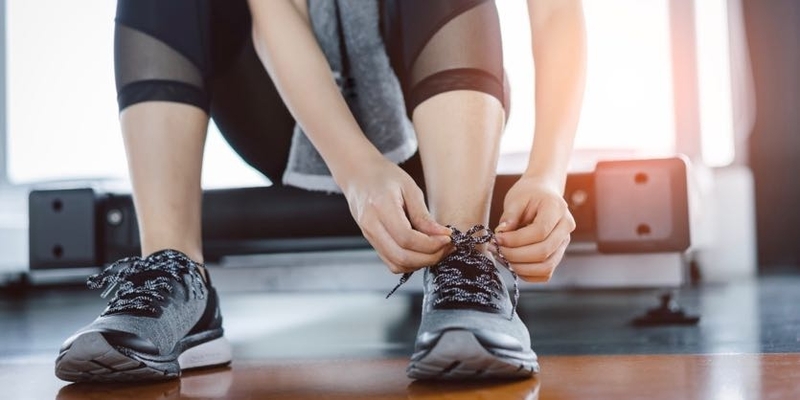 Make sure that on a weekly basis you’re clocking in either 150 minutes of moderate-intensity cardio (about five days of 30 minutes exercise sessions) or 75 minutes of vigorous cardio (spread over two-three days)—along with two days of strength training. The aforementioned guidelines are the minimum for weight and general health maintenance. If your goals require weight loss or muscle gain, you’re likely looking for more specifics. So, let’s break down strength training vs cardio exercise separately to really understand how they each work. Then you can explore the benefits of a strength-and-cardio-combo routine. An activity counts as strength training if it involves significant effort to work your body’s major muscle groups (legs, core, shoulders, arms). 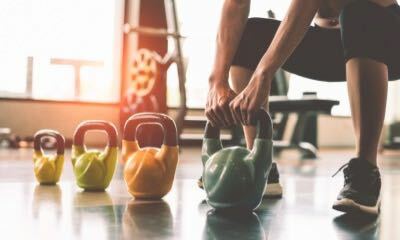 While cardio exercises are recommended for certain durations, strength training doesn’t come with a similar prescription. Rather, you should continue to work your muscles—using resistance, machines, or hand weights—until the activity becomes difficult to continue. This muscle discomfort is actually indicative of minute muscle tears. To build up your muscles, you must first break them down. Young people often focus on getting big, defined muscles for physical attractiveness. But as you age, strength becomes less about appearance and more a function of safety and independence. Sarcopenia is muscle loss associated with advancing age. With every decade past 30 years of age, adults will lose, on average, four percent of their muscle mass. Maintaining muscle mass through the years will help you avoid injury, sustain mobility, and enjoy freedom of movement without assistance. Indeed, risk for bone fractures and other injuries increases significantly once sarcopenia sets in. Participating in strength activities is important not only for building muscle, but also for increasing bone strength. And as you continue to age, both are extremely important. Weakened bones are more susceptible to breaking. Often these breaks are seen in the hip, spine, or wrist. The good news is that exercise—and, specifically, strength-based exercise—can shore up your bones. It might seem counterintuitive, though. Hauling weights around seems like a way to break a bone. Not the case! In fact, bearing weights (whether your body’s own weight or added resistance) slows bone loss and even builds bone. The stress put on bones while strength training essentially kickstarts the cells responsible for bone-building. You have several reasons to start strength training. But where do you start? In theory, lifting weights sounds simple, but there are so many options. This can make it difficult to pick and stick to a routine. Peruse the following chart to gather ideas on how to build muscle throughout your body. Increase number of reps and/or sets as you gain strength. Add weight slowly as you gain strength. Gluteus maximus and medius, hamstrings, quadriceps Play with the width of your stance to focus on different muscle groups. Turning your toes out wide will help recruit inner thigh muscles when squatting. Add weight slowly as you gain strength. Erector spinae (low back), gluteus maximus, quadriceps, hamstrings You can substitute a barbell for two hand weights or a kettlebell, depending on your preference. Increase number lunges per side as you gain strength and stability. Add weight slowly as you gain strength. Gluteal muscles, hamstrings, quadriceps This movement works the same muscles as a squat, but requires more range of motion and therefore allows for further muscle development. Shake things up by trying out backward lunges (stepping back instead of forward), or walking lunges (alternate which leg steps forward each time moving you forward across the surface). Add weight slowly as you gain strength. Deltoids (shoulders), trapezius (upper back), scapula (shoulder blade), triceps, biceps Do this while standing to recruit muscles from your legs and core. Seated shoulder press will focus solely on the upper body muscle groups. Open your arms to the side, turning your wrists so that palms face forward (knuckles still to ceiling). The ends of dumbbells can touch over head as you press fully. This wide press will fire slightly different muscles. (with challenge: core and hip flexors) If more comfortable, you can do the same movement with one weight in both hands. Hold the ends of one dumbbell in either hand. If you’re up for a challenge, add on a core component by lifting your feet off the mat and bringing knees to a 90-degree angle. As you lower weights toward your head, extend your legs out. Return them to bent position as your arms rise again. While you may be familiar with the term “cardio training”—or even more simply put “cardio”—you might not have considered where it comes from. Cardio is short for “cardiovascular” because exercises of this type are aimed at strengthening your heart. They are also known as aerobic, because they require oxygen and increase the efficiency of oxygen distribution throughout the body by the heart. With this knowledge in mind, it’s easier to see the connection between this type of exercise and heart health. With as little as 15 minutes per day, you can support a healthy heart. Plus, cardio or aerobic exercise plays a role in weight maintenance and weight loss. But before you dive into that, let’s get an idea for the different cardio exercise in which you can engage. Aerobic exercises are any type of activity that get the body’s major muscle groups moving in a rhythmic way for a prolonged period of time. This type of movement gets your heart pumping, elevating your heart rate, and causing you to breathe harder than normal. The range of activities that meet these requirements are wide, so you’re likely to find one you enjoy. Pick from a range of solo activities or sports, group games, or recreational activities to get your heart pumping. Recall the heart-health guidelines for exercise from above. At a minimum, adults have two options. First, engage in 150 minutes of moderate aerobic exercise throughout the week. The second option is 75 minutes per week of vigorous aerobic exercise. No matter your choice, you should also include two days of strength-based training. This can simply involve your bodyweight or weights. Not sure what constitutes moderate or vigorous aerobic exercise? Check out the table below to spark some ideas. Strength Training vs. Cardio, or Better together? Over the years there have been many exercise crazes and popular routines. And some have pitted strength training vs cardio. Is this well-founded? Well no, not if you’re strictly interested in general health and weight maintenance. Both types of exercise are necessary to strengthen bones, fend off muscle loss, and keep your metabolic processes in balance. But if you’re focused on losing a lot of weight or building a lot of muscle, your routine might require some tweaks. A few years ago, Duke University conducted a study comparing groups of people assigned to one of three groups. Group 1 utilized resistance (or strength-based) training. Group 2 was given an aerobic (or cardio) routine. Group 3 did a routine that consisted of both resistance and aerobic training. Participants in the cardio-based exercise group lost more weight than those focused on strength-training. In fact, the strength group gained weight, though all of it was attributed to muscle gain, not fat. And those in group 3 experienced the healthiest changes in body composition. Combo exercisers both lost the most fat and gained muscle mass. Researchers noted that while these composition changes are the most favorable, it did come at a cost: time investment. Group 3 participants spent the most time in the gym. There are some great takeaways from this study that can help you decide what’s best for your goals. Do you want to maintain your weight? Are you concerned with adding muscle? Are you pressed for time? These are all appropriate questions to consider as you build your personalized workout routine. Remember that health guidelines for exercise are only minimums (150 minutes/week or 75 minutes/week for moderate and vigorous exercise, respectively). These are great guidelines to follow if you’re simply maintaining your body weight. Cardio burns the most calories, minute by minute. This means if you were to spend 15 minutes lifting weights versus 15 minutes running, the latter would expend more energy. If your goal is to lose weight, combining both strength and cardio is your best bet. To really fine-tune your routine, start with strength training and finish off with cardio. Doing so will elevate your heart rate so your heart continues to work at that elevated level during your cardio session. Consider your age as you build your own workout. As you pass 30 years of age and enter into each new decade, the need for muscle-building becomes more pressing. Exercise is not the only answer. Weight maintenance and weight loss is hard to do if diet isn’t considered. Build your workout routine along with a balanced diet for success. The only thing left is to get moving. Get started by recalling your motivation. Whether it’s to maintain, lose, build, or generally enjoy life, all are valid and achievable. Start by naming your motivation and goal to make them real. Find activities you enjoy and recruit friends or family to keep you company and hold you accountable. And before you know it, you just might be in those old jeans, crossing the finish line of your bucket-list race, or conquering those stairs with a smile.